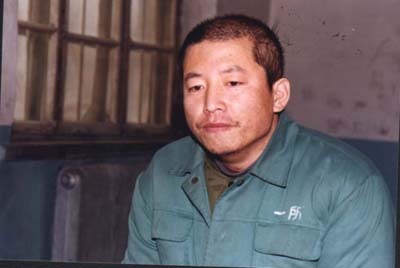 Mr. Liang Zhenxing, pictured in 2002, died in custody on May 1, 2010. New York—A Changchun resident who tapped into Chinese state-controlled media in March 2002 to air footage exposing the persecution of Falun Gong died in custody on May 1, the Falun Dafa Information Center recently learned. Mr. Liang Zhenxing (??? ), 46, is at least the eighth practitioner detained in the broadcasts’ aftermath who is known to have died from abuse in custody. The broadcasts came at a time when airwaves were overflowing with vilifying propaganda, inciting hatred and violence against Falun Gong practitioners. Because of the Communist Party’s tight control over the media, practitioners had no avenue for their voices to be heard. Liang was among those detained. He was subsequently “sentenced” following a show trial to 19 years in a prison camp. While being held at Siping prison camp, Liang was tortured severely, including being shackled for long periods of time, being shocked simultaneously with multiple electric batons, and pouring cold water over him in -20 degree weather. In December 2009, Lang was reportedly transferred from Siping prison camp to Gongzhuling city prison camp. He died in Gongzhuling Central Hospital on May 1, 2010. Family members who saw him several weeks before his death report his being emaciated and having difficulty walking or talking.